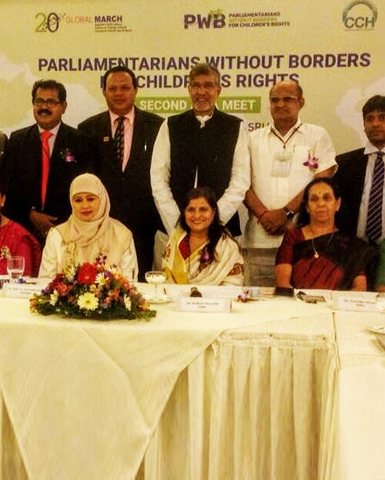 The Second Asia Meet of Parliamentarians Without Borders for Children’s Rights, an initiative of our founder, Kailash Satyarthi and Brazilian Senator, Cristovam Buarque, was held in Colombo, Sri Lanka in collaboration with Centre for Children’s Happiness : CCH and 13 Members of Parliament from 6 Asian countries- Bangladesh, Pakistan, Indonesia, India, Nepal and Sri Lanka participated in this important meeting where Parliamentarians shared experiences, best practices, success stories and challenges in implementation of laws related to child labour, trafficking and education. 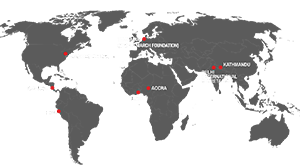 After some intense discussions in the span of 1.5 days, the Parliamentarians signed a Declaration of Commitment wherein they committed to raise children’s issues in the Parliament, advocate for increasing budgetary allocations to children’s policies, use technology for protecting children, work towards ending child domestic labour and increase political will by forming national Parliamentary caucuses amongst other commitments made. A detailed report on the meeting coming soon.